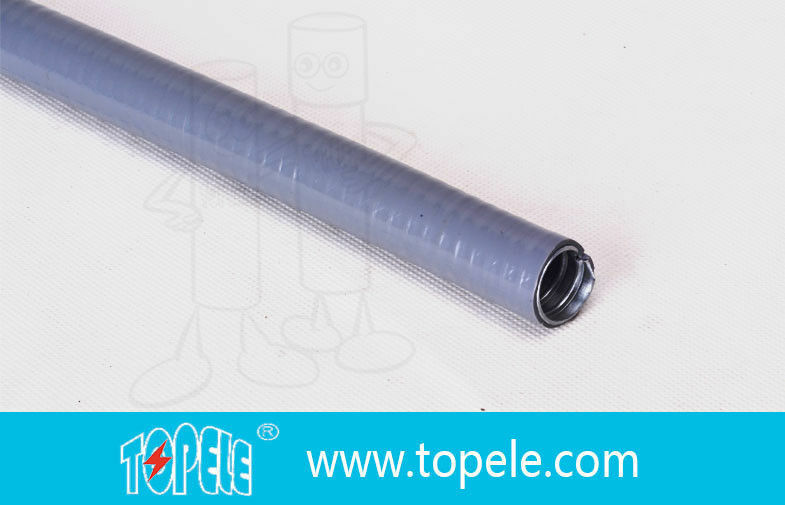 · 2.Material:Galvanized Steel Core,PVC jacketed. · 3.Extra waterproof, highly tension, oil and flame resistant. · 4.Waterproof, Corrosion, Resistant,sunlight resistant. · 5.Temperature range from -10°c to +70°c, -20°c to +90°c, -20°c to +105°c, -40°c to +120°c. · 6.PVC color black or grey, other colors available upon request. 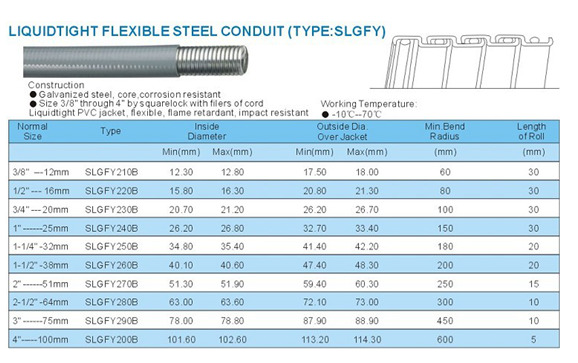 Liquid Tight Flexible Steel Conduit is used for mechanical protection of cables and wires in tunnels, hospitals, high-rise office blocks and public buildings, airlines, underground and other places. Further, these are also used for tight-spot installation and in places where water tightness is required. These are available in poly vinyl coating in black color with spiral corrugated pattern finished surface, which makes them resistant to corrosion. Q: How can I request a product sample? A: The samples are free but freight should be collected. Please send sample list and courier account number by email. Q: How can I request a product catalog? A: The hard copies of catalogs are free but freight should be collected. Please send courier account number by email. You are suggested to request a PDF catalog. Q: Wha's your payment terms? A: One is T/T 30% before production and 70% against copy of B/L; the other is Irrevocable L/C 100% at sight. Q: What's your trade terms? A: FOB, CNF(CFR), CIF, EXW. 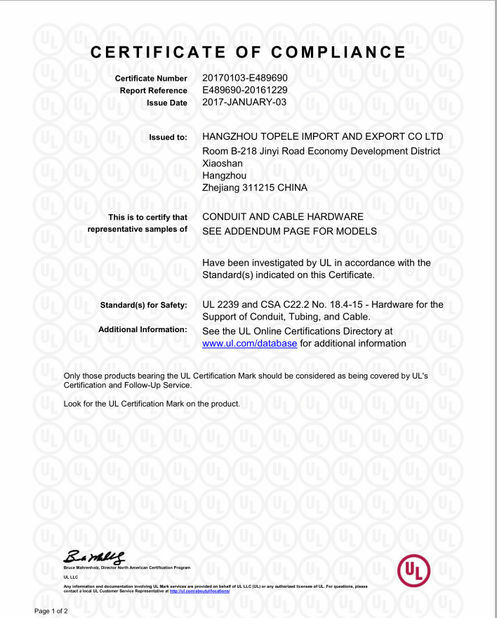 Q: How long is the quality guarantee? 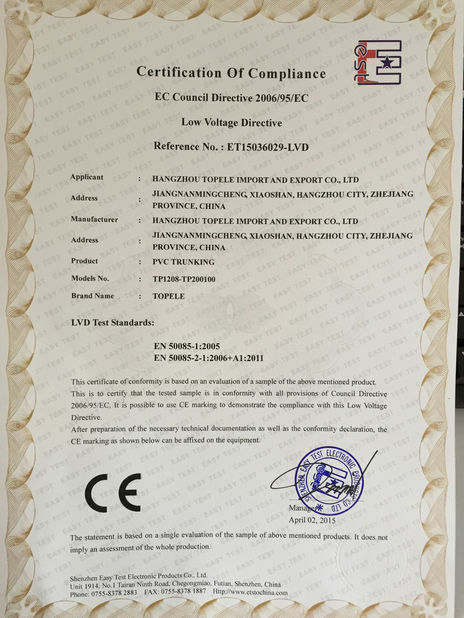 A: All of our products have a period of quality guarantee since time of shipment. Please contact your salesman for more details, as different products enjoy different time of guarantee.